If you’ve written out all your Christmas cards and are preparing to pop along to post them in your nearest mailbox, you could find that it’s already bursting at the seams with empty Walkers Crisps packets. 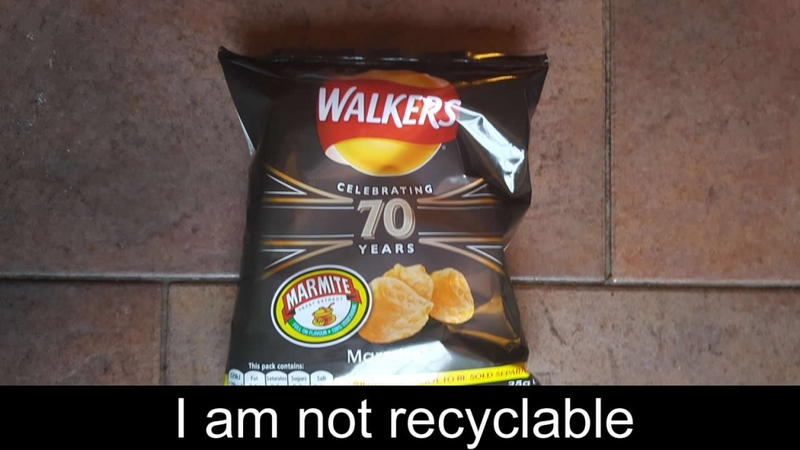 Well, in case you didn’t know, Walkers Crisp packets can’t be recycled and this has infuriated the campaign group, ’38 Degrees’. They’ve started a campaign urging their members to post empty Walkers Crisps packet back to the manufacturer using Walkers’ FREEPOST address in an attempt to raise awareness about the issue and spur Walkers into action. According to Walkers, they plan on rolling out recyclable packaging by 2025 but campaigners say that 7 years is far too long to wait, considering that Walkers already make an astonishing 7, 000 bags per minute, meaning that an estimated 28 billion could still be produced between now and 2025. The main headache for Royal Mail is that their sorting machines can’t process the crisp packets. This means they have to be sorted by hand, which significantly increases labour costs for the company, as well as slowing down processing times in general. As a result, Royal Mail is urging customers to put their crisp packets in an envelope first before popping it in the mailbox. Royal Mail is obliged to deliver all mail, so they can’t simply be discarded at the collection depots. The company goes on to say that they are committed to switching to compostable or biodegradable packaging across their product range by 2025 and say that they will use the returned packs for research purposes. In light of the problems that this is causing Royal Mail, 38 Degrees are now asking campaigners to place the empty crisp packets in envelopes first rather than just sticking the FREEPOST label on the packet. these manufacturers should be more responsible and make sure all there packets can be recycled.